Hello, exterior covering - Curious, what the exterior covering is. I love your work. Looking for something that will last for years at the lake. Thank you. Love the inside and out. Thanks! 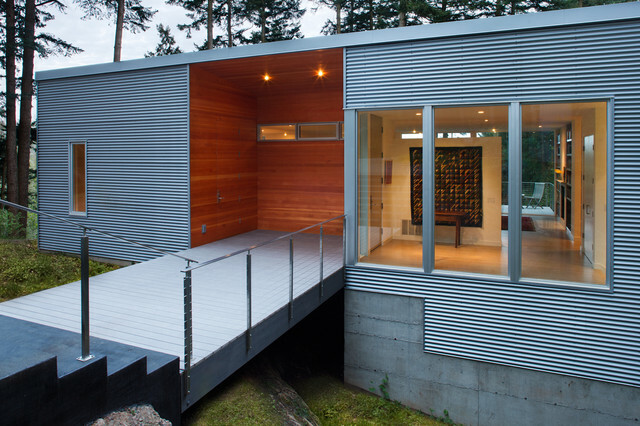 Corrugated metal siding is a great choice with no maintenance. Try Metal Sales or AESpan. They both have good options. For the front, east-facing side of the house, where the entrance is?